Senior Lecturer and Korean Language Program Coordinator Bumyong Choi (pictured above) was awarded this year's ECLC Excellence in Language Teaching Award! He will be officially recognized at the ECLC Awards Ceremony April 26 at 4:00 in the Jones Room of the Woodruff Library. Emory students competed in the Georgia Association of Teachers of Japanese Speech Contest and Academic Challenge, held this year at Georgia Institute of Technology. 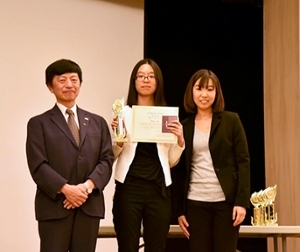 Junior Ziqi Tiger Cai (above) finished third in Category Two of the speech contest, and Senior Ju Mi Ha (below) received Ganbatta recognition. Congratulations to all of our students who competed! 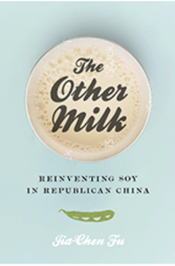 Chinese Assistant Professor Jia-Chen Fu has published her first book, The Other Milk: Reinventing Soy in Republican China. According to the University of Washington Press description, The Other Milk explores the curious paths that led to the notion of the deficient Chinese diet and to soybean milk as the way to guarantee food security for the masses. 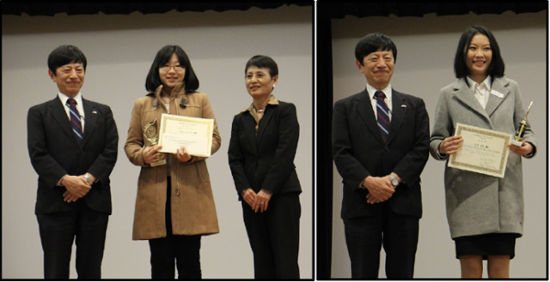 REALC welcomed two new Korean faculty members this fall! Hwisang Cho joins us from Columbia University, where he earned his Ph.D. in premodern Korean history. He specializes in the interactions between written culture and sociopolitical changes. 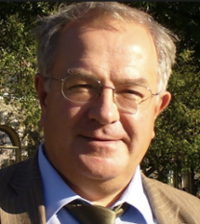 He will offer classes in Korean history and culture such as his newly created Introduction to Korean Culture and Choson: Last Dynasty of Korea. Jenny Wang Medina also hails from Columbia, where she earned her Ph.D. in East Asian languages and cultures with an emphasis on modern Korean literature and culture. She is currently serving as a Post-doctoral Fellow in the Bill and Carol Fox Center for Humanistic Inquiry, working on her book manuscript, Brand Conscience: Global Korea and the Reinvention of National Cultures. 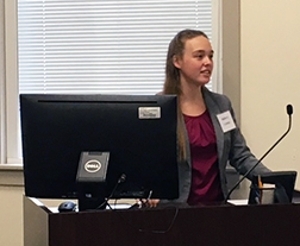 The Department of REALC was thrilled to host its fourth annual Undergraduate Student Research Symposium in the spring of 2018. 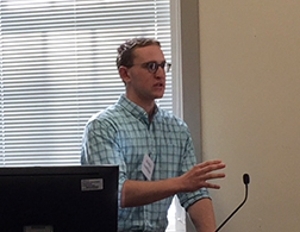 Students from all disciplines were invited to submit proposals in the areas of the languages, cultures, societies, or politics of Russia, Eastern Europe, and East Asia. Some students presented work associated with honors theses, while others chose papers written as class assignments. Not only is the symposium an excellent opportunity for undergraduate students to hone their research and presentation skills, it also provides a platform to showcase the innovative and provocative work being done throughout Emory College in REALC’s global areas. 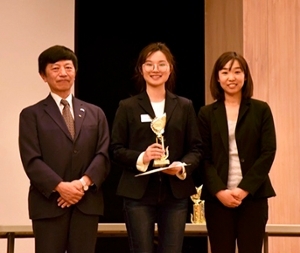 Emory students performed brilliantly at this year's Japanese Academic Challenge and Speech Contest. This was the 26th year of the event which was jointly organized by the Georgia Association of Teachers of Japanese, the Japan-America Society of Georgia, the Japanese Chamber of Commerce of Georgia and the Consulate-General of Japan in Atlanta. Congratulations to all of Emory's students who participated! Below: Yani Emma Li received an honorable mention for her performance in Category II. 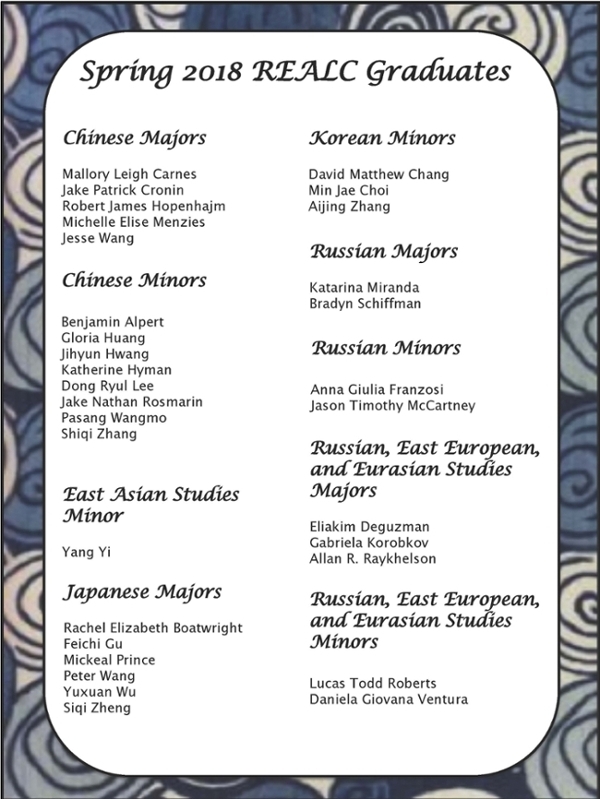 As part of Emory's annual Love Your Majors Week, the Department of REALC invited students from each of its global areas of study to celebrate the food, art, and culture of Russia and East Asia. Above, students sample green tea and practice the ancient art of Chinese paper cutting. Below, students try their hands at origami. Bumyong Choi is a recipient of the Winship Award for Senior Lecturers! He will be on leave during the Spring 2019 semester. Congratulations to our ECLC Excellence in Language Studies Awards Winners! 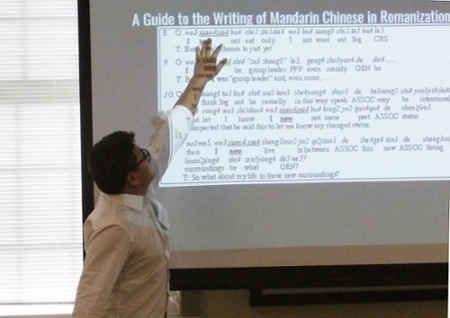 Above: Computer Science and Linguistics major Hang Jiang presents, "Adding Word Boundaries to the Chinese Script Will Benefit Chinese Language Users." 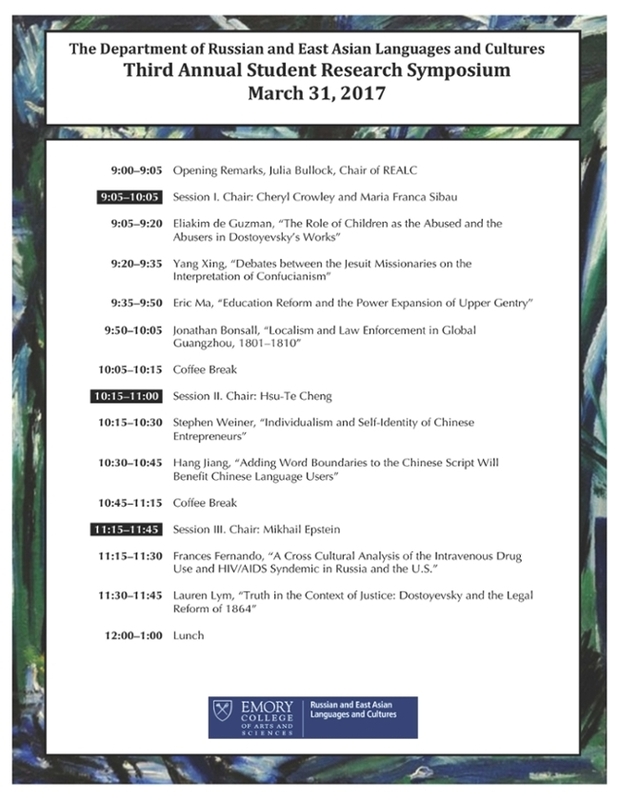 Friday, March 31, 2017, students representing programs from across Emory College and the Laney Graduate School presented their work in the areas of Russian and East Asian studies. Students answered a call for papers requesting submissions on the subjects of Russian or East Asian linguistics, art, history, politics, religion, or culture. The selectees, seven undergraduates and one graduate student, presented on topics ranging from Russian literature to Chinese entrepreneurship. The complete schedule of presenters is below. 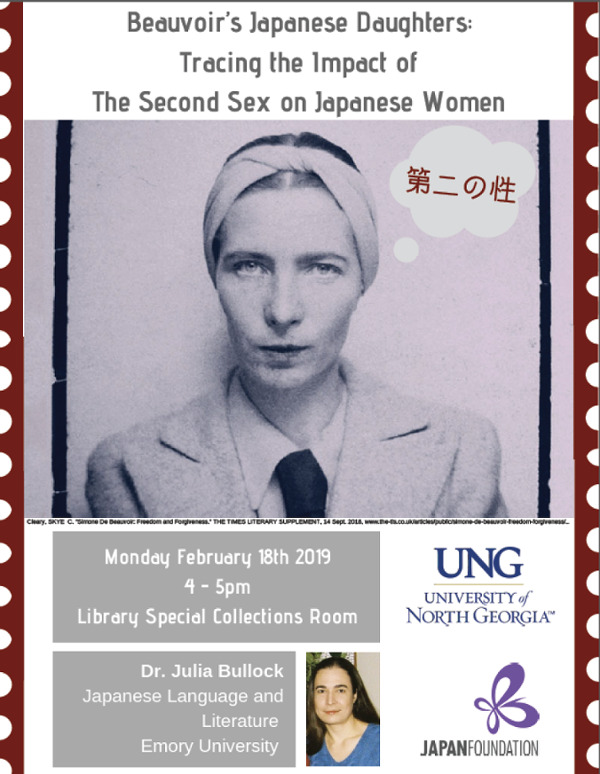 b) Panels: Won Chul Shin (PhD Student in Ethics and Society, Graduate Division of Religion) and Helen Kim-Ho, Special Advisor of The Atlanta Comfort Women Memorial Taskforce. * The Korean Culture Fair is an opportunity to immerse in Korean cultural activities. Take a picture wearing the beautiful traditional Korean garb, hanbok. Or try some of the traditional Korean games. Collect certificates for participating in each cultural activity and exchange them for a small gift! 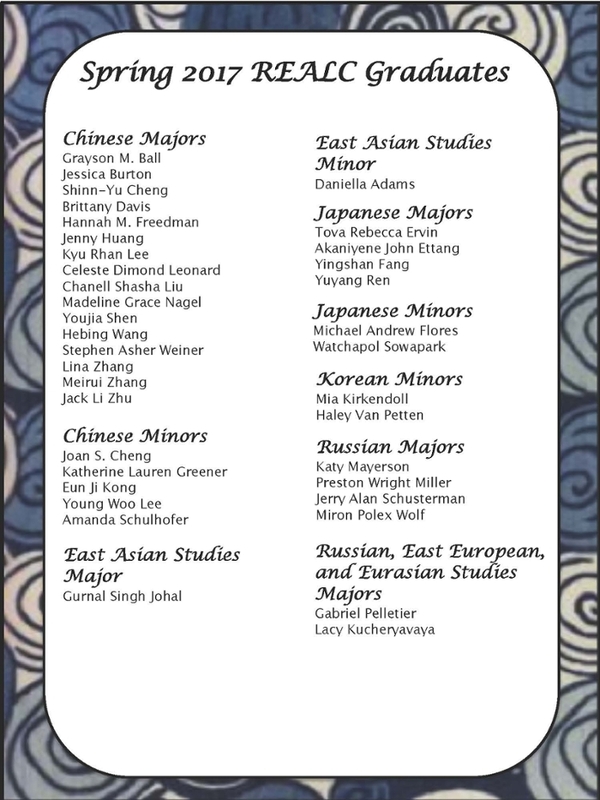 * Sponsors: Hightower Fund, REALC Korean Program, Halle Institute, East Asian Studies Program. love with Korean calligraphy and culture by doing it yourself! The event is children-friendly and a delicious Korean dinner will be provided. 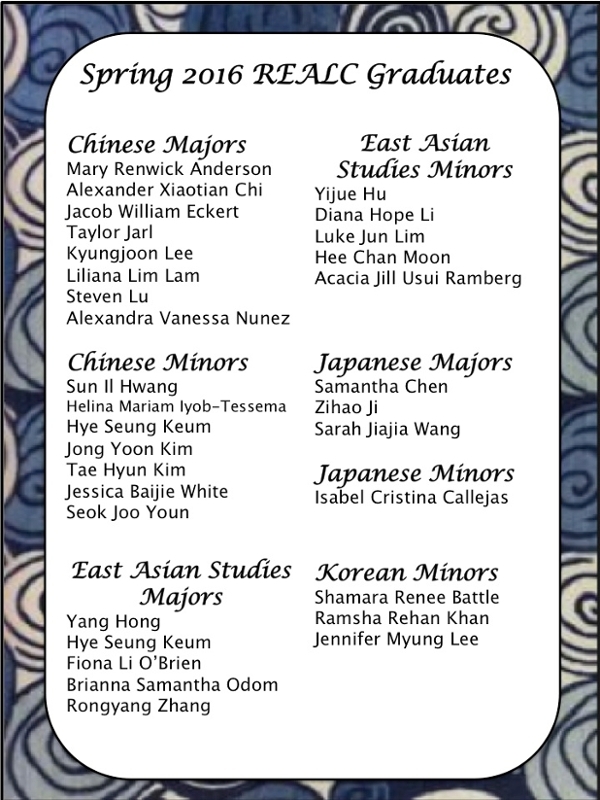 * Sponsors: REALC Korean Program, Halle Institute, East Asian Studies Program, Emory College Language Center (ECLC). * Emory’s Korean Undergraduate Student Association (KUSA) and Korean International Students at Emory (KISEM) will be hosting their 14th annual Korean Culture Night (KCN) on Sunday, April 2 at 3 p.m., which will highlight various aspects of Korean culture through both modern and traditional performances. The event will be held in the Woodruff Health Sciences Center administration building auditorium and will feature Emory student groups and Atlanta community groups. * Sponsors: REALC Korean Program, Halle Institute. 1st: Junzhou Qui (Katakana and Samurai) – got a round trip air ticket to Japan! 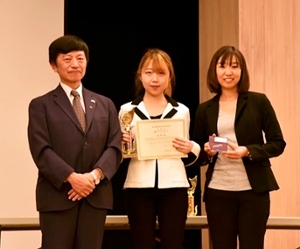 This year's Japanese Speech Contest took place March 4, 2017 at the Atlanta campus of Mercer University. The event was sponsored by the Japanese Consulate in Atlanta, the Georgia Association of Teachers of Japanese, the Japan-American Society of Georgia, and the Japanese Chamber of Commerce of Georgia. REALC and East Asian Studies faculty and staff bid farewell this semester to Chinese Senior Lecturer Wan-Li Ho. She was honored with memorial speeches and letters from former students and colleagues at a REALC faculty luncheon, but it remains difficult to put her legacy into words. 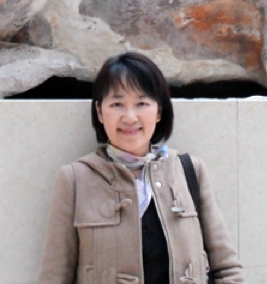 As an instructor of Chinese language, as well as courses focusing on Chinese women and religion, Wan-Li earned the reputation as a passionate, dedicated teacher and a mentor to her students. During her fifteen years at Emory, she inspired generations of undergraduates to pursue studies, and eventually careers, in Chinese language or related fields. In 2014, Wan-Li received the Emory College Language Center Excellence in Teaching Award for her outstanding teaching record, evidence of innovation in teaching, and evidence of appreciation by peers and students as a model teacher. 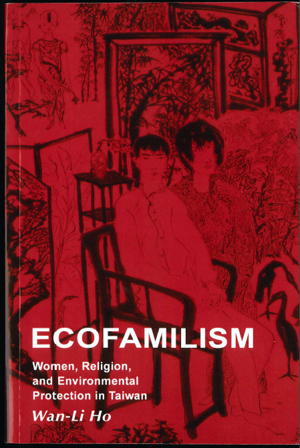 Wan-Li ended her career at Emory on an especially high note with the publication of her first book, Ecofamilism: Women, Religion, and Environmental Protection in Taiwan. In addition to her many professional successes, Wan-Li will be remembered by her colleagues and students at Emory for her kindness, her sincerity, and her selflessness. We wish her much happiness in her richly deserved retirement! CONGRATULATIONS REALC GRADUATES, SPRING 2016!